As with previous editions, the 2018 Le Bourget exhibition will give visitors a chance to discover our latest models and to meet our dealers, who will help you find a campsite pitch or a plot in a Mobile Home Park. “Louisiane” was founded in 1998 and has been growing ever since. We draw our mobile home expertise from our building trade know-how, unlike our competitors, who come from the caravan industry. This is part of our DNA and helps to explain our success. The quality of our materials and of our structural elements means that our products have a significantly longer life expectancy. “Louisiane” has gained the trust of more than 1,000 campsites throughout France and throughout Europe, with its range of rental park homes. 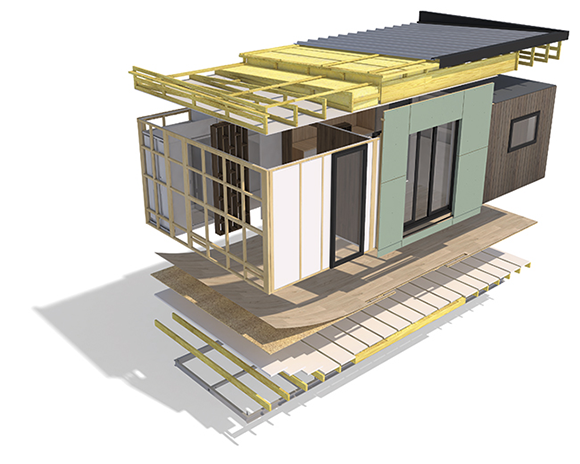 Our manufacturing techniques are tried and tested and guarantee mobile homes with an unrivalled level of comfort. Over 30,000 Louisiane leisure homes have currently been installed in parks across the continent. Louisiane relies on an extensive network of locally-based dealers and partners who can advise our customers on their choice of mobile home. First trade exhibition of the season, offering a chance to discover all our new 2019 models. The La Cavalerie site (Aveyron, south of France) began production in 2002 and services the south of France market.